Enjoy a lighter, healthier Thanksgiving side with this recipe for sweet potato casserole. Thanksgiving is one of the tastiest days of the year, but it’s definitely not one of the healthiest. Between gravy, pie, and buttered rolls (okay, buttered everything! ), you’ll probably find yourself eating some things you normally wouldn’t to celebrate the holiday. That doesn’t mean the whole holiday has to be a health wash, though! 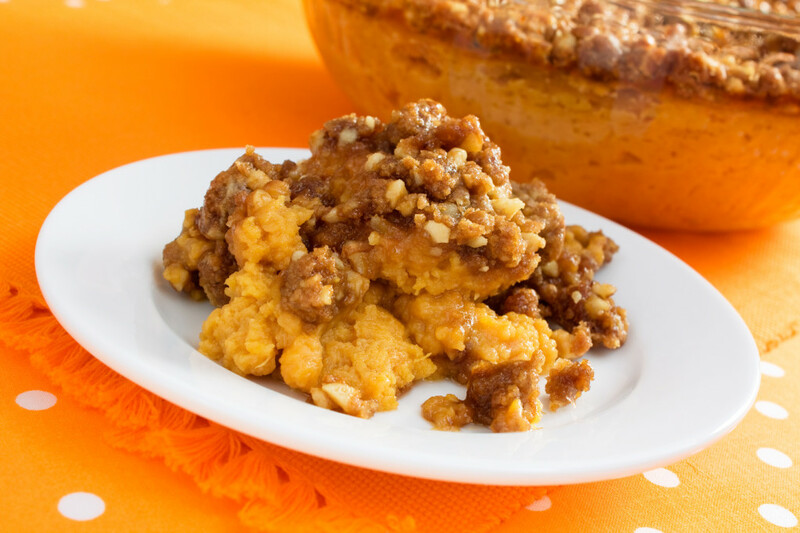 Here is a delicious and surprising healthy recipe for a lighter twist on a favorite: sweet potato casserole. Preheat your oven to 350 and spray an 8×8 inch baking dish with cooking spray. Put a steamer basket in a large pot and boil a few inches of water. Add the sweet potatoes, cover, and steam until tender (20-25 minutes). Let the potatoes cool, then add them to a large mixing bowl along with the honey, egg, ginger, ½ teaspoon of cinnamon, nutmeg, and salt. Whip together until smooth, then spread into your baking dish. Happy Thanksgiving from Udell Family Insurance! Contact us for all of your personal and commercial insurance needs in Westlake Village and the nearby California area.